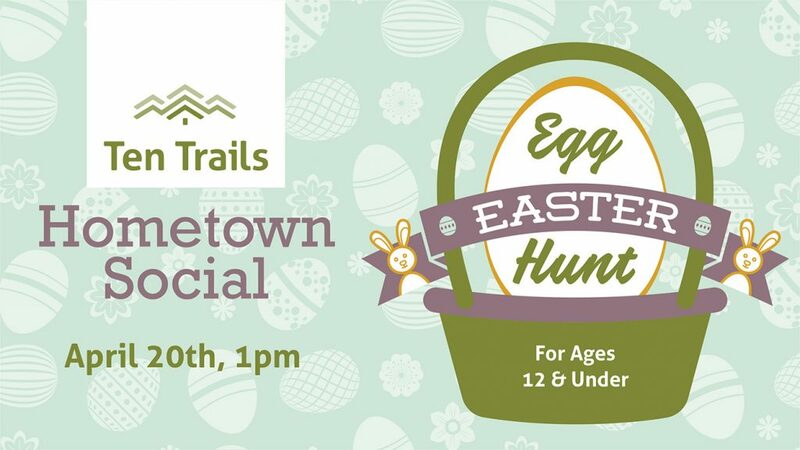 Visit Ten Trails on April 20th for an Easter egg hunt for kids ages 12 and under! We will have four hidden golden eggs with special prizes for the winners and two separate egg-hunting areas. Head to the Ten Trails Village Green Park at 1 pm to take part in all the fun! We are offering free photos with the Easter Bunny, available for downloading after the event on our Ten Trails website! Dress your kids in their cutest Easter best for a keepsake photo memory for years to come! While you are at Ten Trails for the egg hunt, stop by our Welcome Center or any of our 12 Model Homes, register your name and email address and you will be automatically be entered to win at $500 gift card to Great Wolf Lodge. A big “thank you” to our friends at Lake Sawyer Church for providing the gift card for this special giveaway! After the hunt and your family photo op with the Easter Bunny, grab donuts from the Legendary Doughnut truck, and enjoy a late lunch from Secret Sausage We will also have a free lollipop garden for kids to explore and kettle corn available for purchase. You won’t want to miss this family-friendly event at Ten Trails!